Thank you for taking an interest in us. We place no great value on promoting ourselves by way of verbose and image-laden advertising, not even in the internet. This does not coincide with our perception of establishing contact on a confidential, personal and meaningful basis of mutual trust. On the next few pages, we should like to convey what is important to us. We prefer to become personally acquainted. Norbert Essing Kommunikation GmbH works for its clients with, for and - if necessary - even against the topical and opinion landscapes prevailing in relevant public spheres. "Opinions are facts – and they therefore determine the capacity for action in modern society. And this in turn defines the scope within which entrepreneurs, managers and enterprises can be successful – or perhaps not." 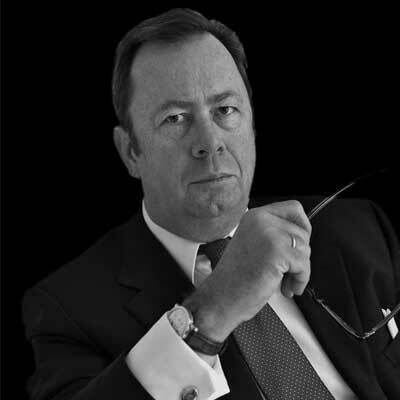 Founded by Norbert Essing in 1999, the company has quickly developed to become one of the most influential and leading consulting firms for major and international enterprises in the field of corporate communications, crisis communications and reputation management. Its founder and Managing Partner, Norbert Essing, gained extensive experience as Head of Communications with leading global enterprises, including ABB AG, Audi AG and Deutsche Börse AG. Our activities focus on developing and implementing strategic and tactical communication, as well as offering communication and consultancy services during any decisive, critical or important phases experienced by a company, a business owner or top manager. We do not take on clients on a project basis, but only become active once the client and Norbert Essing Kommunikation GmbH have agreed that a long-term client relationship should be developed on a basis of mutual trust. This is the only way to achieve lasting success for the client. The vast majority of our clients have been with us for six, seven or even up to fifteen years. We work for listed companies in Europe, the US and some parts of Asia, for business owners and large family enterprises, as well as for outstanding entrepreneurial individuals. Norbert Essing Kommunikation GmbH also holds interests in selected related companies in the communications sector. The idea behind this is to work for clients within the scope of an effectively structured network. Around twenty staff members are employed at its offices in Munich and Westerkappeln near Osnabrück. In a modern society, creating and securing or regaining capacity for action are basic requirements for economic and commercial success. Our assignment is to create, expand and secure capacity for action on the part of our clients or – if necessary – restore such capacity. We also protect our clients against unjustified attacks. We are specialised in this field, having had as much experience and success as only few other specialised consulting firms can indeed offer. As a company for strategic communication which, out of conviction, is deeply committed to its clients and identifies closely with them, not only on a professional level, we are free to decide who we wish to work with. A consultant relationship cannot materialise unless we feel that the other party, the client, carries conviction and we are able to both share and convincingly advocate its position and needs. This is the only way to achieve viable results. It is not economic considerations that have priority, but the assignment, along with its relevance and, at the same time, knowing that one is on the right side – and campaigning – on behalf of the client – with great conviction. Our work is based on professionalism, competence, conviction, in-depth knowledge of the relevant connections, discretion and loyalty. We work solely for companies and their top management – executive boards, supervisory boards, boards of directors – as well as for business owners. Our perception, based on many years´ experience in and with companies, is "corporate". Our activities serve corporate goals. We are independent, take a candid approach to consulting and offer clear analyses and procedures for our clients. Entered in the Register of Companies.